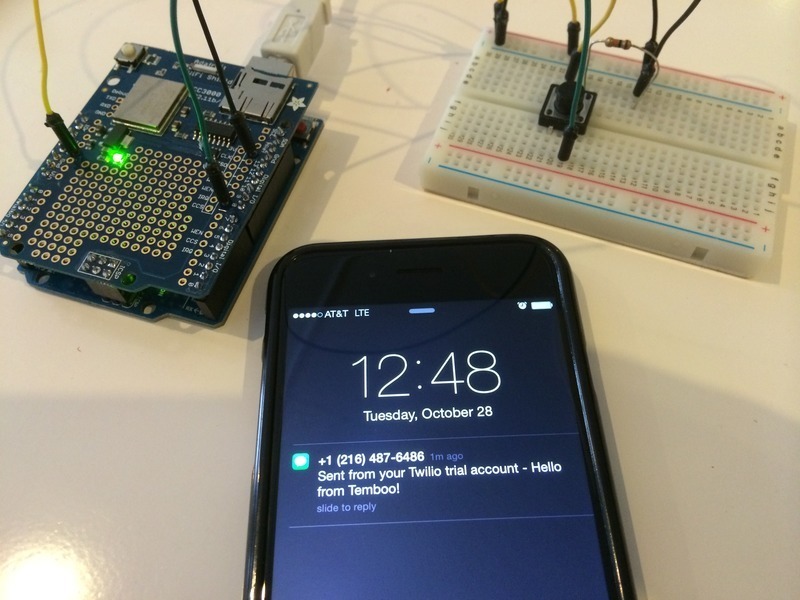 NEW GUIDE: Sending an SMS with Temboo @Adafruit Learning System « Adafruit Industries – Makers, hackers, artists, designers and engineers! This guide will show you the basic framework for programming your Arduino to interact with APIs using the Temboo platform. We’ll focus on sending an SMS with Twilio here, but the same basic steps will work for any of the different processes in the Temboo library.